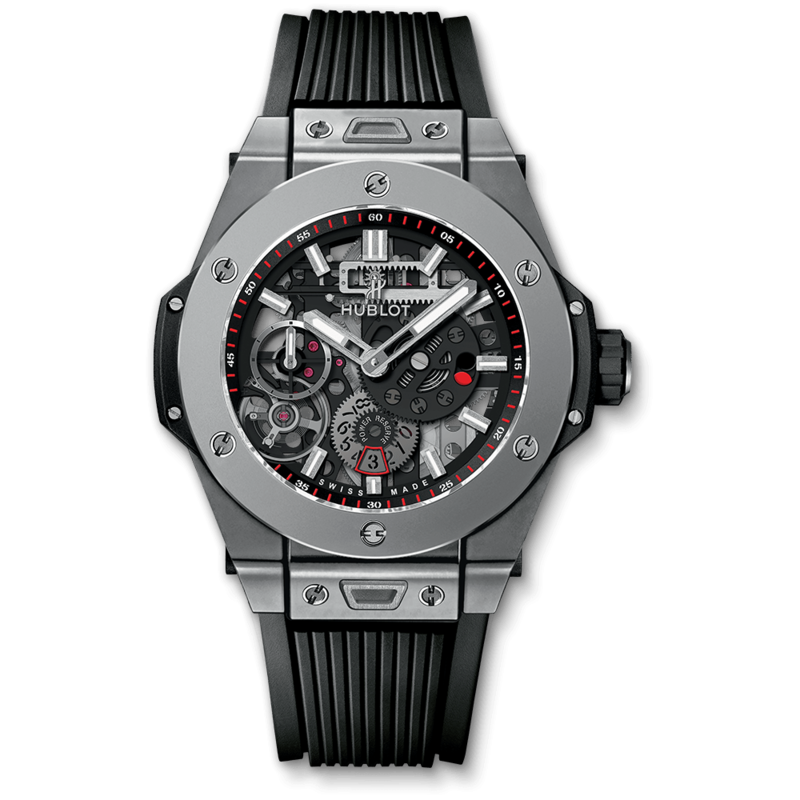 Hublot has been one of the most popular watch producers during recent years. A brand name that is large, luxurious and does not shy away from clear contrasts. One of Hublot’s specialities is the fusion of materials. The latest in the line of innovations is a fusion between gold and ceramic material, resulting in a watch that is completely free from scratches. Hublot produces watches that are seen and that stand out. But Hublot watches offer more than just a sporty and daring exterior. Among other things, the company has developed advanced watchwork and technical solutions, including a new type of diving watch called Oceanographic, which is waterproof for up to 4000 metres of depth! We are one of few companies that can offer both the sale and servicing of Hublot watches in Stockholm and other luxurious watches in Stockholm. Our watchmakers are trained on-site at the biggest Swiss manufacturers, and have the skills for most models. Contact Rob. Engström to purchase Hublot watches in Stockholm. Hublot is a very young brand in comparison with some of its competitors. Hublot began to produce watches at the end of the 70s, and even the first watches contained these stark contrasts. 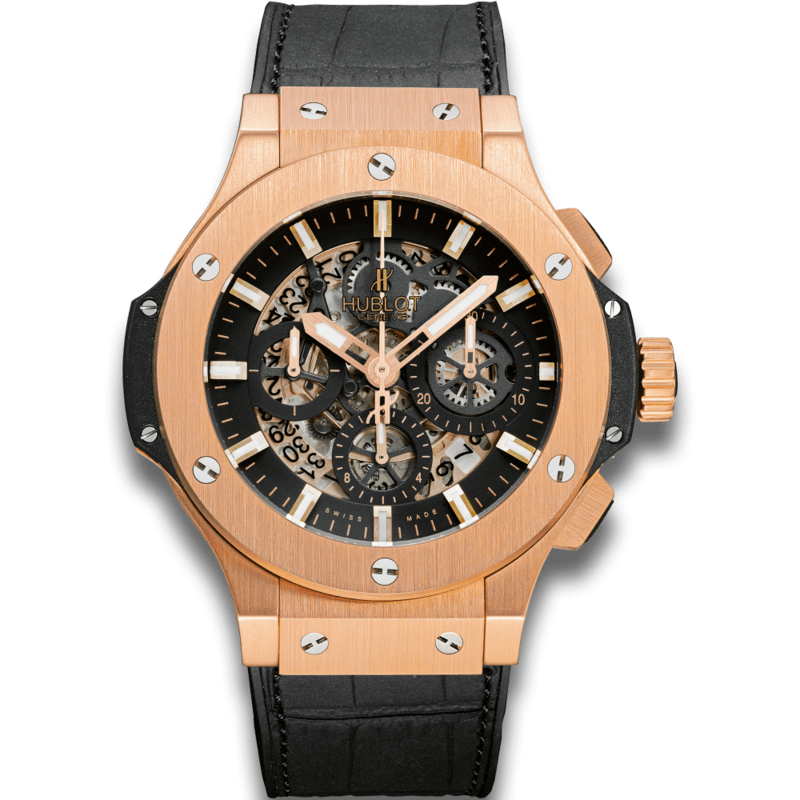 It was the Italian man Carlo Crocco, founder of Hublot, who chose to combine a golden watch with a rubber strap. In the beginning, the reception by the public was not very successful, but the unusual combination caught the eyes of a number of celebrities and royalty. Our own king, Gustaf XVI, has been seen wearing the watch with his dress coat. It is these exact contrasts that have made Hublot into an exciting producer.